Delightfully fresh and easy dinner packed full of flavor that you can enjoy in just minutes! Cut all of the meat and vegetables, so they are ready to cook. Start your rice in a rice cooker or on the stove. The cooking time for the dinner is equal to the cooking time for the rice. Using a wok or large frying pan, heat sesame oil over medium-high. Add in the garlic. When the oil starts to sizzle, add in the soy sauce, Marukan Genuine Brewed Rice Vinegar, mirin, sugar, and ginger. Mix well. Add chicken. Cook until chicken is no longer pink. Chicken will have a rich brown color from the sauce. Add in the vegetables and cook until the rice is done. Serve over rice. 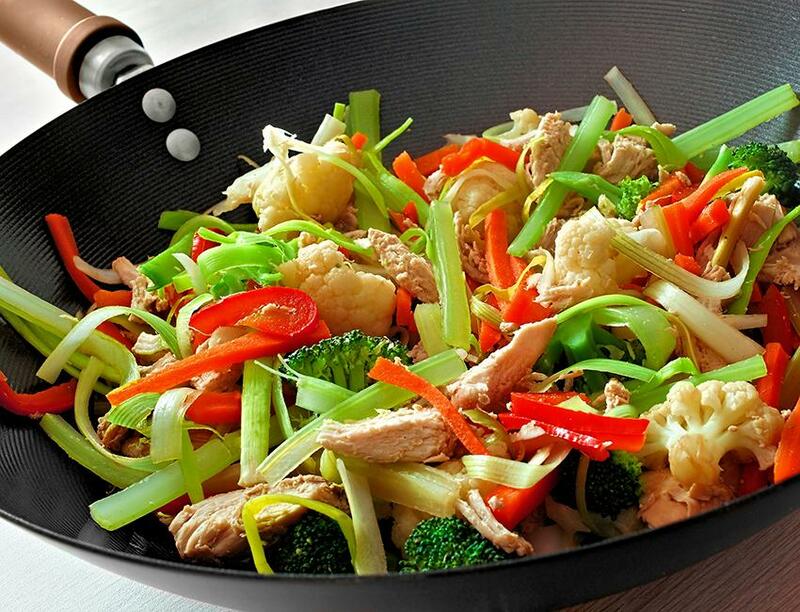 Flavor Tip: Once the stir fry has been put on the plate over rice, you can add some Marukan Seasoned Gourmet Rice Vinegar over the top for an extra boost of flavor. An amazing seafood dish from Chef Walter Staib.